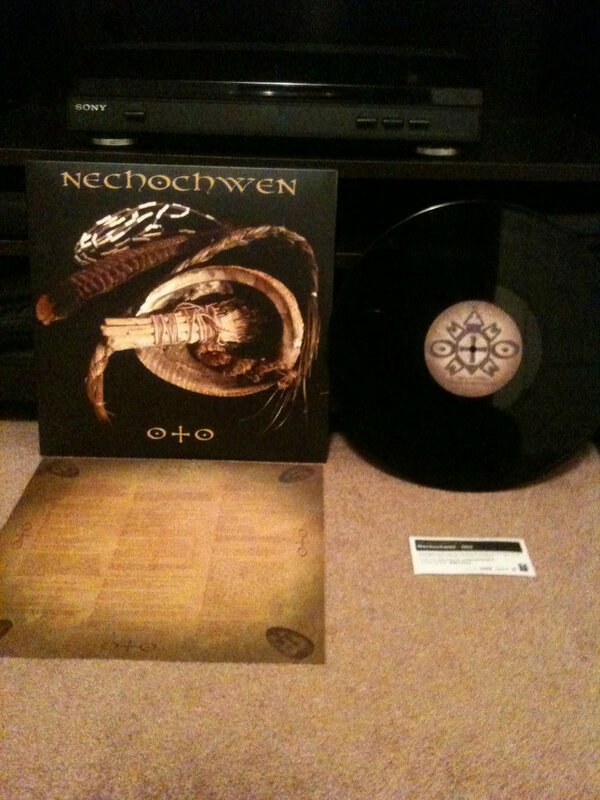 Mike Lamb A brilliant EP showcasing the acoustic side of Nechochwen. Favorite track: Heya Hona. 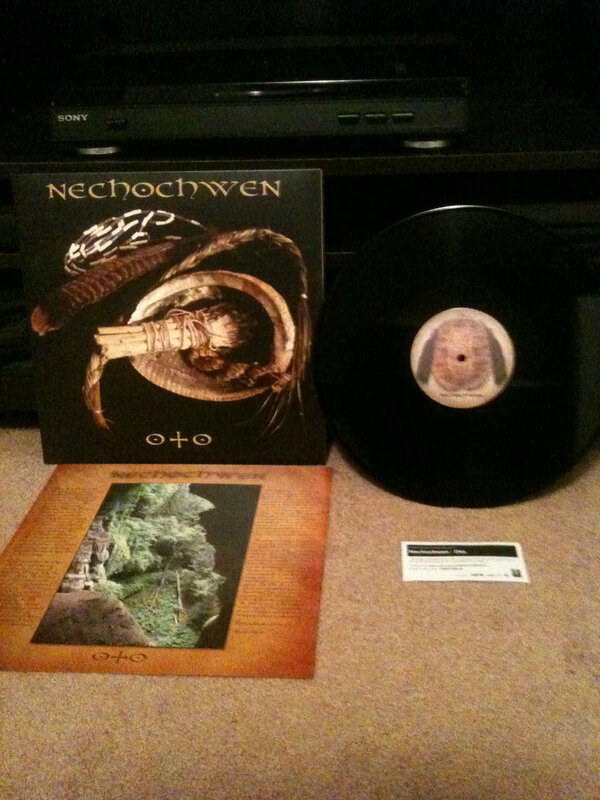 The black version is limited to 300 copies worldwide and is cut at 45 rpm. Includes unlimited streaming of Oto via the free Bandcamp app, plus high-quality download in MP3, FLAC and more. 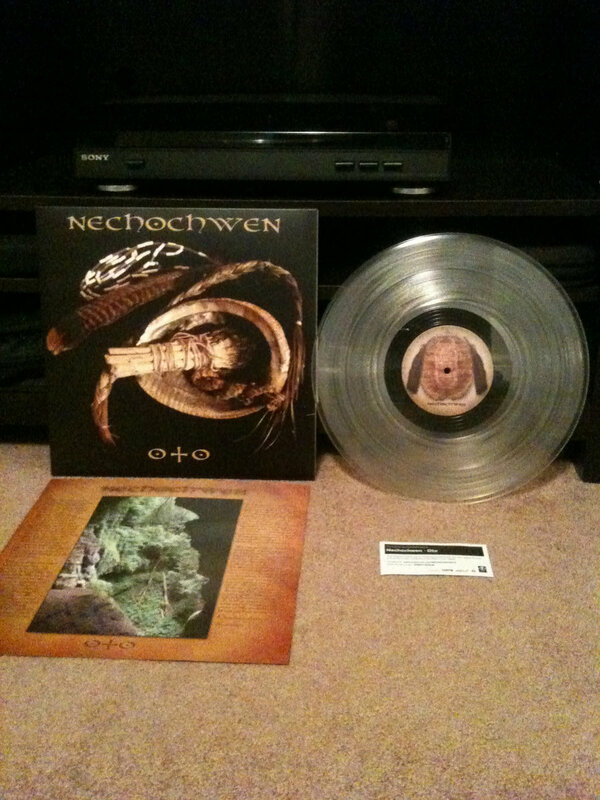 The clear version of Oto is limited to 150 copies worldwide and cut at 45 rpm. The patch is exclusive to this version. Sorry, the Oto patches are now sold out and will not be included with the record. 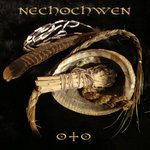 The members of Nechochwen are proud to have our newest material released by Bindrune Recordings in the form of an LP titled Oto. 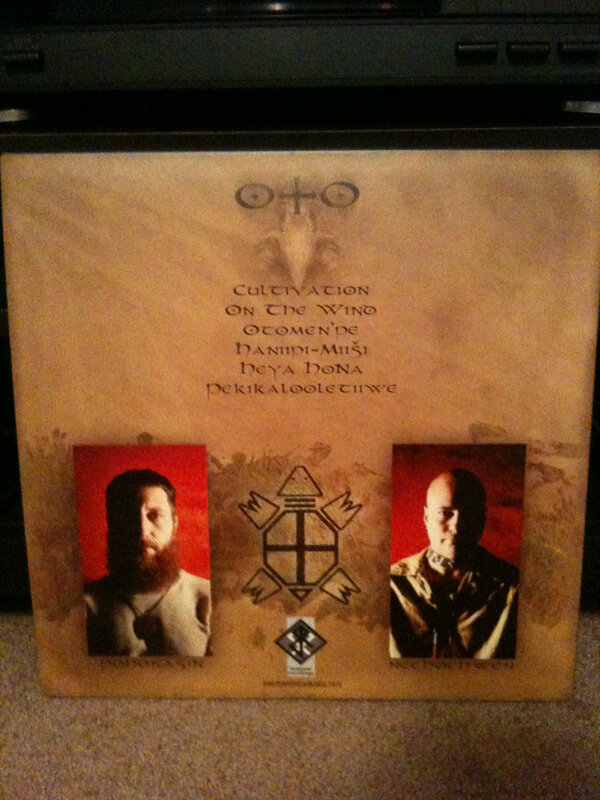 Where previous releases have been rooted in the historic and ancient past, Oto focuses on the guidance our ancestors bring to us in modern times. The album title could be called ‘Ancestor’ in English. 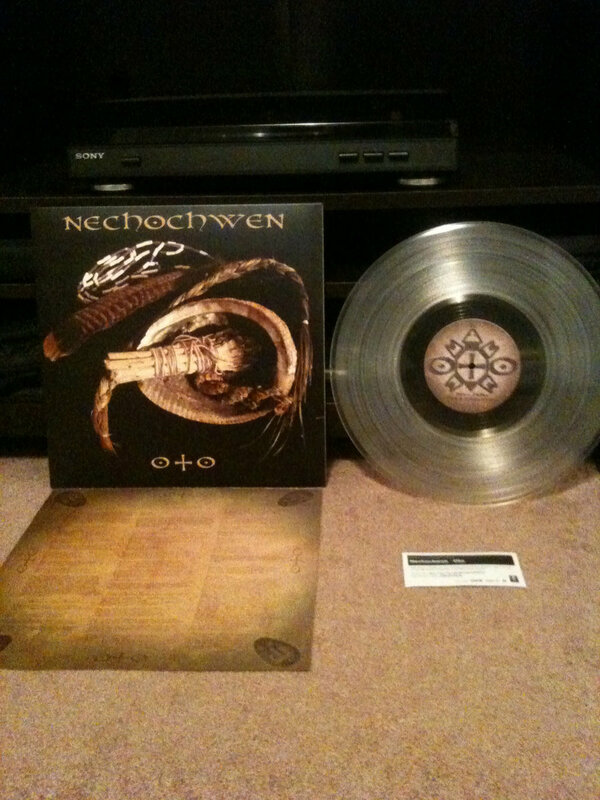 Nechochwen : We consider this third Nechochwen album to be a double EP with Side A taking an organic, acoustic route and Side B shifting to an aggressive metal assault. The focus of this album is quite simple: ancestral wisdom and Native tradition is relevant and important in our overly complex and distracting present world. Never has man been so disconnected from the very soil he walks on. Just as there are two sides to this LP, there are two sides to all of us. One is at peace with our surroundings and the other attempts to conquer them. 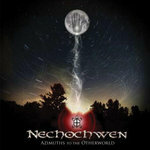 This album is a tribute to the balanced, ancestral self. Pohonasin : Oto, in both conception and inception, is paradoxical in nature. It is the proverbial thread of the past thrust through the eye of the needle that is what we call the present day; a musical time machine that seamlessly shifts between two worlds that could be considered equally shrouded in obscurity. Visually, the title O+O invokes a sense of symmetry. Like a human face, it looks equal on both sides. But upon closer inspection, symmetry is but an illusion. Each side holds its own discerning features. Such is the case with this volume of Nechochwen. Two distinctly different notes of the same chord, embraced in a confluence of harmony. 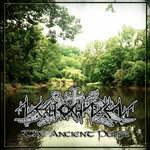 Recorded in sessions from March to November 2011 at Sacred Sound, Martin's Ferry, Ohio. Produced and engineered by Nechochwen and Pohonasin. Hey, do you remember words they used to say? Your ways, will you keep them in your heart to stay? Hey, do you remember songs they used to sing? Away, will you let this all just wilt away? In the sky beyond our flesh we hear the primal call of creation! Tread this path in adoration of the sky’s illumination! As he waited for an answer, the world of flesh was cast aside. In his vacant stare he became transfixed by the wings of a feathered serpent. In his vacant stare he became transfixed by the sound of a panther splashing.